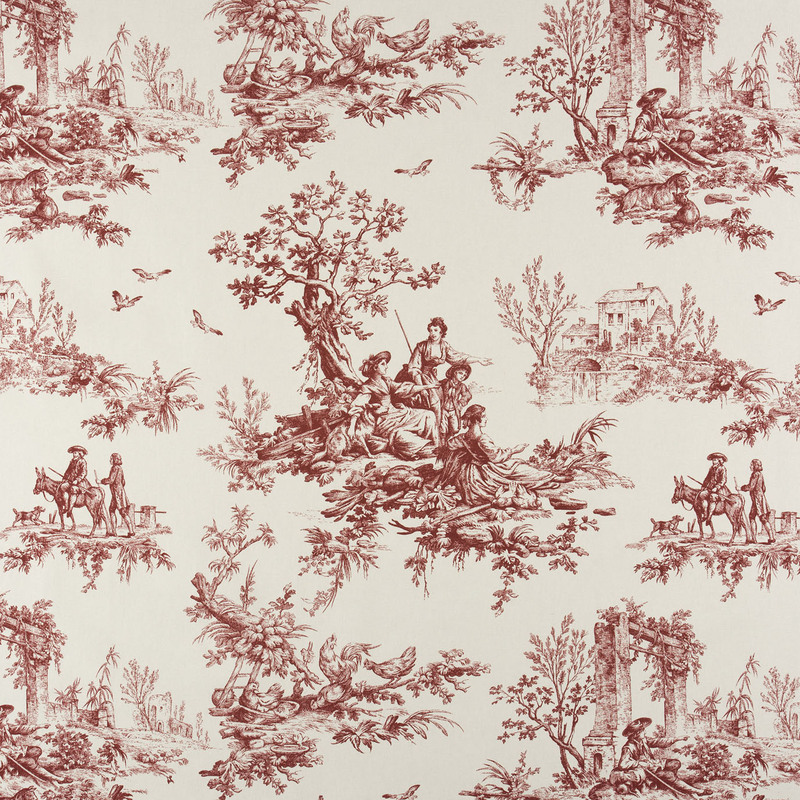 Bouvier Red Toile shower curtain. Shower curtain is unlined, with botton holes at the top for easy hanging. Face fabric is 100% cotton duck. Dimensions: 72" x 75." Dry clean recommended. Manufacturer UPC 013864117081. Made in the USA by Thomasville at Home.